See a Kestrel? Report It! The American Kestrel, a once-common inhabitant of fallow fields and pastures has declined in recent years, and the reasons are largely unknown. The Endangered and Nongame Species Program embarked on a survey campaign in 2004, and the findings were alarming. 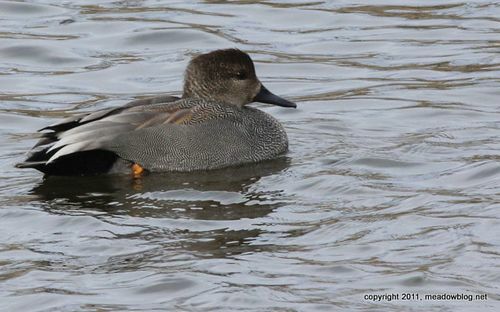 Please report your sightings of this bird, especially in the breeding season (April – July) using the Sighting Report Form, here. Sunday, April 10, 1 p.m. This free two-hour Birding for Beginners class starts with a short session on birding basics at the Meadowlands Environment Center in Lyndhurst at 1 p.m., followed by a 90-minute walk in surrounding DeKorte Park. 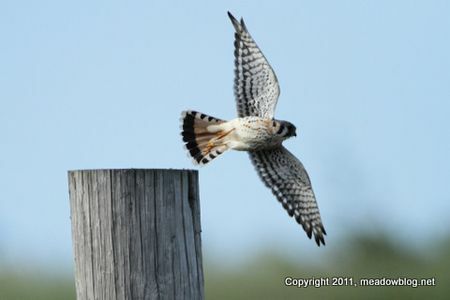 We’ll look for swallows, killdeer, waterfowl and other birds. The event is run the Bergen County Audubon Society and hosted by the N.J. Meadowlands Commission. Check meadowblog.net for last-minute weather updates. You will have to sign a standard liability release for this event. To rsvp, contact Don Torino of the BCAS at greatauk4@aol.com or 201-636-4022.